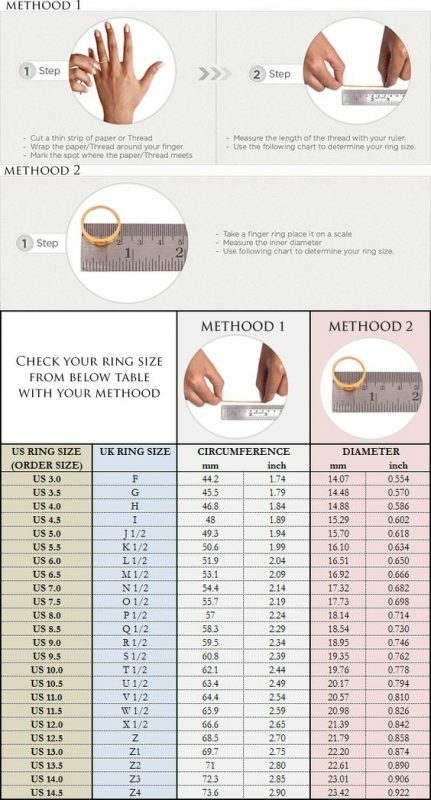 We have two methods for you to find your ring size. 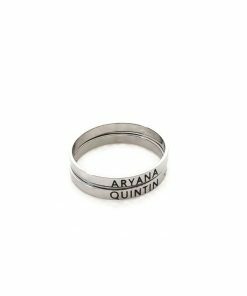 – If you don’t have a ring and you will get your first ring please use Method 1. 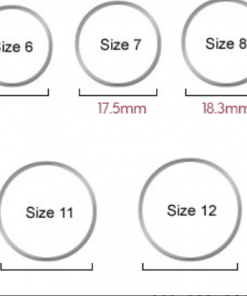 – If you have a ring and want to place an order with same size please use Method 2. 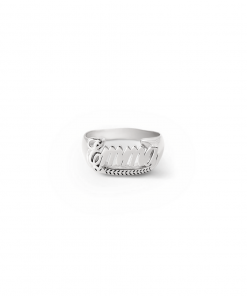 Note: For skinny fingers, you’ll need to consider your knuckle size as well just in case your inner finger is thinner than your knuckle (for the ring to slip through the knuckle).